For months now I’ve been trying to convince Hal we need some fainting goats. I think they are a hoot. He, on the other hand, does not think hilarity is a good reason to invest in livestock. And he has a point. After all, I’m not even sure we could show these at the county fair – I’m fairly certain judges deduct points if your animal pitches over during the judging. Oh well. It doesn’t matter because I now have a different criteria for choosing livestock. 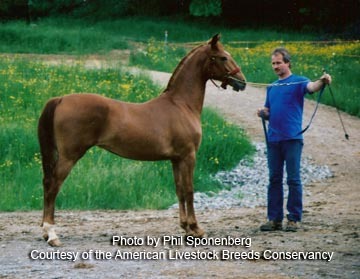 I have discovered the American Livestock Breeding Conservancy, and I am fascinated. 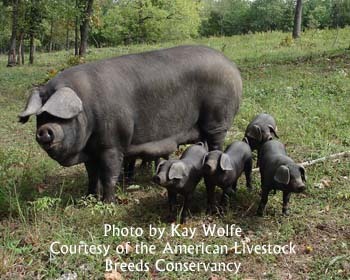 This is a nonprofit group that is dedicated to, “ensuring the future of agriculture through genetic conservation and promotion of endangered breeds of livestock and poultry.” In other words, the ALBC encourages farmers to raise animals that are at risk of extinction. 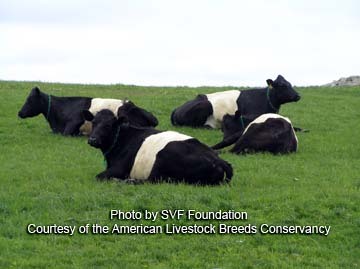 Their efforts help to ensure not only America’s agricultural heritage, but also genetic diversity in livestock and poultry. It’s a noble cause and you can read more about it on their website. The animals they feature are some of the most beautiful and interesting (and just plain cute) livestock I’ve ever seen. Isn’t he stunning. 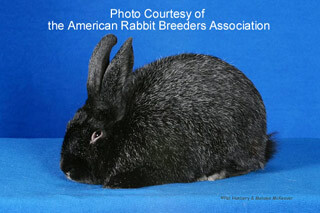 This is a gentle, larger breed known for the unusual the silvering it its fur. We hope to have a trio (two does and a buck by spring). We will be raising them to show and sell, and as usual, I’ll post pictures. Wish us luck! Looking to add some interesting new animals around the barnyard? 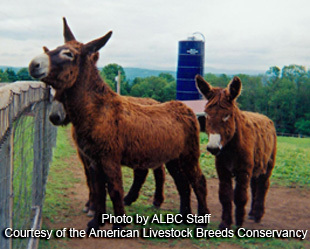 The American Livestock Breeders Conservancy is a great resource. This organization is dedicated to preserving our agricultural heritage and to ensuring the survival of some beautiful species. Check it out!